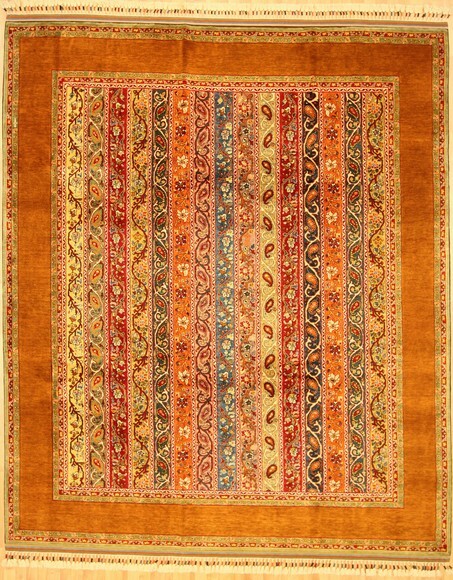 Sal is a folkloric, traditional rug. 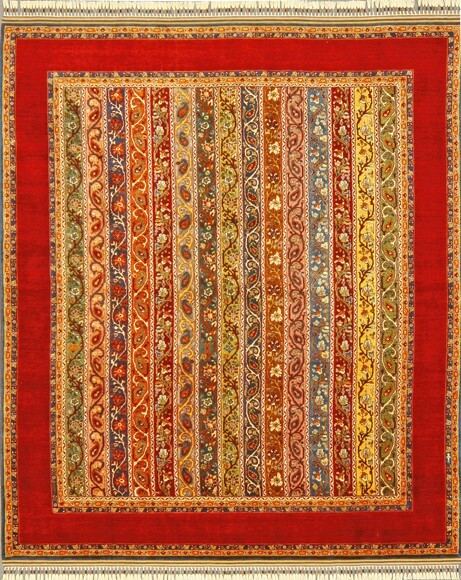 With its warm, vivid, passionate colours, it is the reflection of a regional culture. 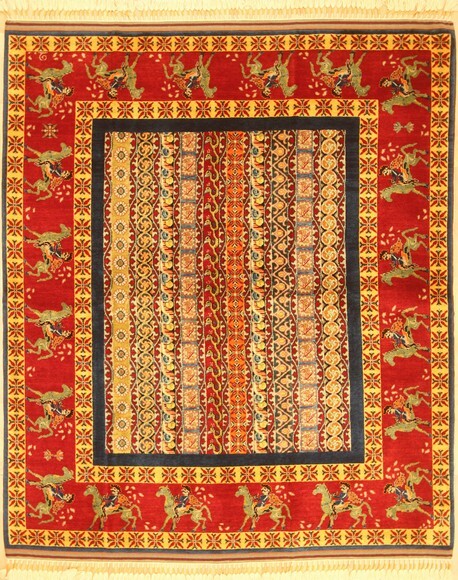 Its emotion is composed with the rich green of the region, bright yellow of the sun, and other vivid colours like blue, maroon, orange, red, used for the weaving of humanistic and animal patterns. 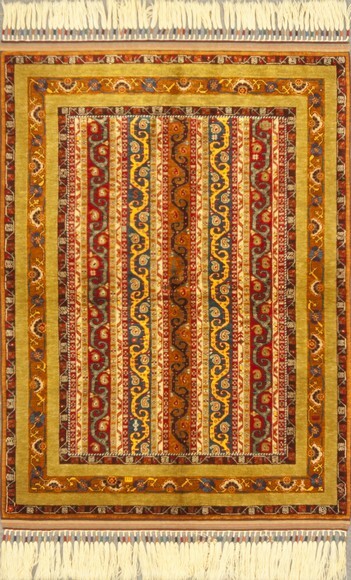 The special, locally-sourced yarn with the classic long fibers of Sivas region are used for this production. Sal designs, marked by their distinctive lines, harmony, and easy flowing patterns, are often used at textile sectors for fashion products. 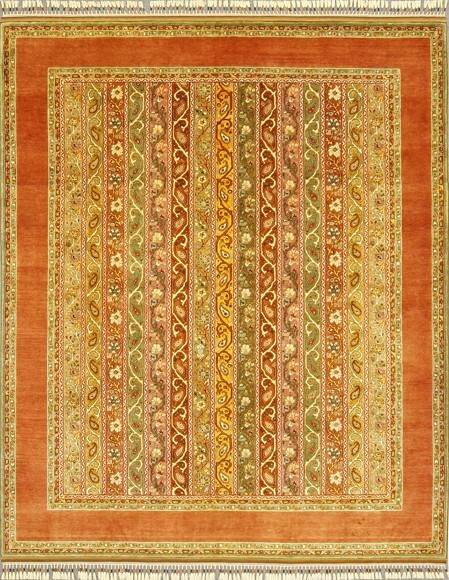 Its bright and powerful colors give a strong and warm character to this one-of-a-kind rug. 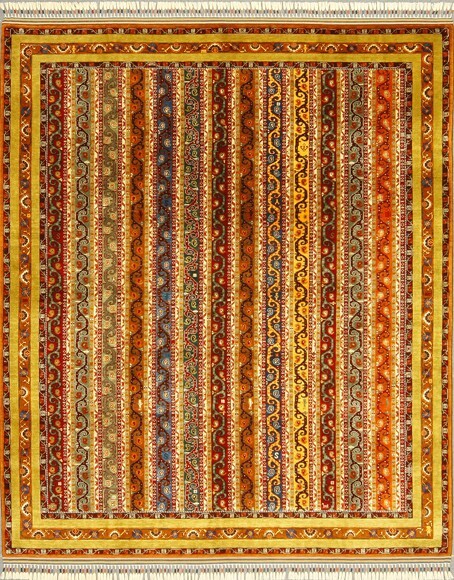 Lastly, the various fringe weavings and special washing processes leave a distinctive touch on this collection.